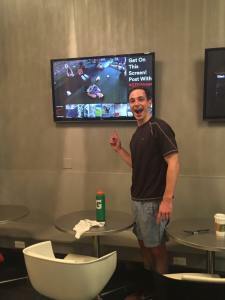 Meet our West Loop Gym Member on the Move, Matt Gibbs! What do you do from 9 to 5? 5AM on weekdays is the only time that I can make work. I’ve always been a morning person, and it’s nice to have a crew that’s similarly disciplined and at CTF at the crack of dawn. I used to live down the street and proximity was always the deciding factor on what gym I’d sign up for. I was hooked instantly by the personal trainers + fun/challenging classes, and have stayed loyal even though I moved to West Town. Fun Facts? I have a 2 year old son and a daughter arriving in April. Diehard Ohio State fan. Nike collector. Motto: Life rewards actions, not intentions.